Looking for a dental job in Waldorf, MD? Join The Silberman Dental Group! We’re revolutionizing the face of dentistry, one smile at a time. WHAT DOES SILBERMAN DENTAL GROUP BRING TO THE TABLE? Our team is friendly, welcoming, compassionate, and down to earth. 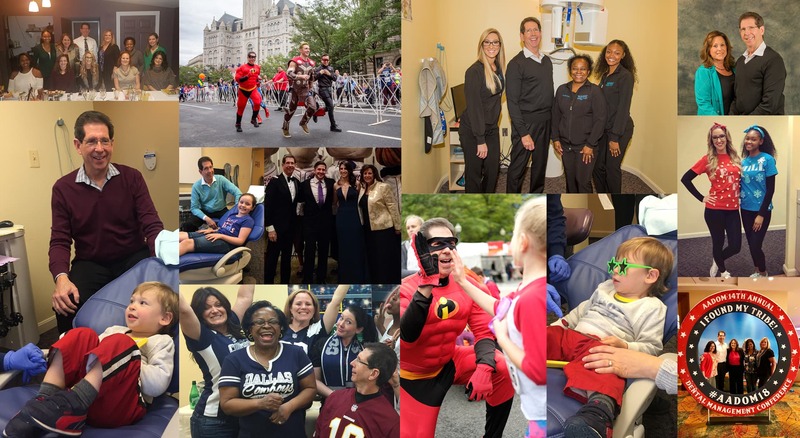 You will enjoy an extraordinary, unique and fun company culture, which values patient care, and an indispensable support team that allows you to be successful! Are you a qualified high-potential employee that desires growth, camaraderie, and ability to work in a family team environment? Send us your resume and apply today! Applicants must have experience in the dental field to apply. Our practice is seeking an experienced Dentist to join our team! This position can be two, three or four days a week depending on your availability. We are located in Waldorf, Maryland which is in Southern Maryland and close to Washington, D.C., as well as Northern Virginia. Strong communication skills with the ability to build positive and trusted relationships with both team members and patients. Minimum of two years of clinical experience or completion of an advanced residency. Earn top compensation without the pressure of quotas. You will not be asked to see large numbers of patients each day. Direct access to state-of-the-art technology and equipment. The practice is located in an area which is rapidly growing. The Silberman Dental Group is a well-established and busy practice. A strong and loyal patient base with the ability to attract large numbers of new patients each month giving you an opportunity to earn an excellent income. We have a modern, spacious office with eight operatories and new chairs, new overhead lights, and new equipment in each operatory. We also have a new CEREC machine. Our team is high energy, positive, and upbeat. A dynamic practice and collaborative team environment where patients receive exceptional care and service. A reputable practice that has been recognized in the Washingtonian Magazine. We offer a daily guarantee for the first three months along with competitive compensation. A solid, long-term opportunity that will allow you to get to know your patients well and where you can focus on providing the highest quality patient care. Please submit your resume to Doc@SilbermanDentalGroup.com or fax your resume to 301-885-0845. You can also feel free to call DR. PAUL SILBERMAN at 301-885-2505.